Devoted to the care of mares and healthy foals. Servicing commercial and private breeding farms. Experienced and equipped to successfully manage the assisted breeding process. Reproductive evaluations with both technology and expertise to prepare your mare for artificial insemination and follow her through gestation and parturition. Keeping your performance horse sound and competing at its highest ability. Practicing up to date diagnostics, injections, joint health therapy, and rehabilitation. The goal being to foster the restoration of form and function after injury or lameness. In 2001 Dr. Shaarda received the Harold and Jean Glassen memorial foundation reward in excellence in comparative Ophthalmology. Since then he has continued his education with many renowned Ophthalmologist. Experience in nasolacrimal duct treatments, cornea surgeries, and amniotic membrane grafts. Accepting referral cases. 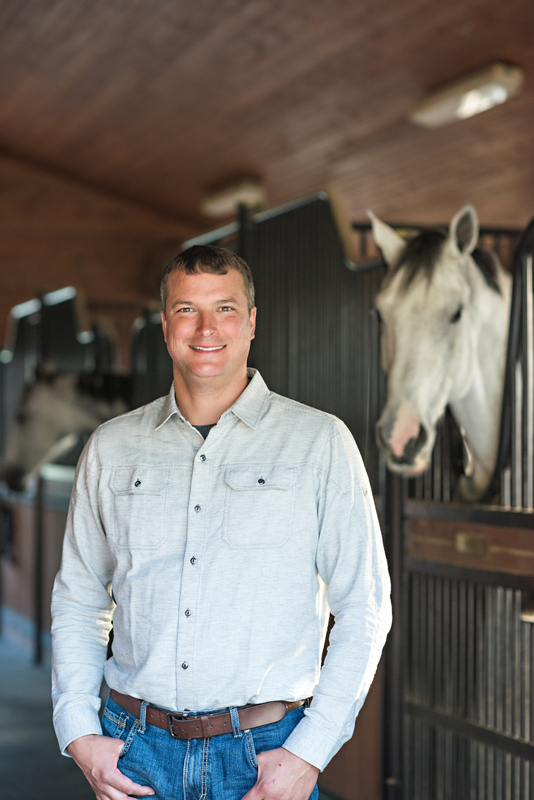 Todd Shaarda is an Independent Veterinarian in West Michigan Practicing Equine Medicine. He has been in practice since 2001. Continuing his education in Ophthalmology, Advanced Lameness, Reproduction, Neonatology, Ultrasound, Surgical cases of Colic, and Infectious Diseases, to offer the most accurate diagnosis and treatment for his patients.